My family emigrated from the Philippines long before I was born in Canada. I have never been to the Philippines; I have never met my family there. All I know are stories and photos. This film explores the messy process of reconnecting to my Filipina roots by exploring both the rejection and affirmation of cultural identity as described by those closest to me. Growing up in Canada, these individuals were the only connections I had to the motherland. Just as a girl learns to be a woman from the women around her, I learned how to be Filipina from the Filipinos around me. Their stories showcased as a back-and-forth dialogue represent my attempt to reconcile my own internal conflict. Pride Dismantled originally exhibited as part of a group exhibition, "Karambola," during Kultura Filipino Arts Festival with six other talented young Filipina-Canadian artists in Toronto, Ontario facilitated through the Kapisanan Philippine Centre for Arts and Culture. 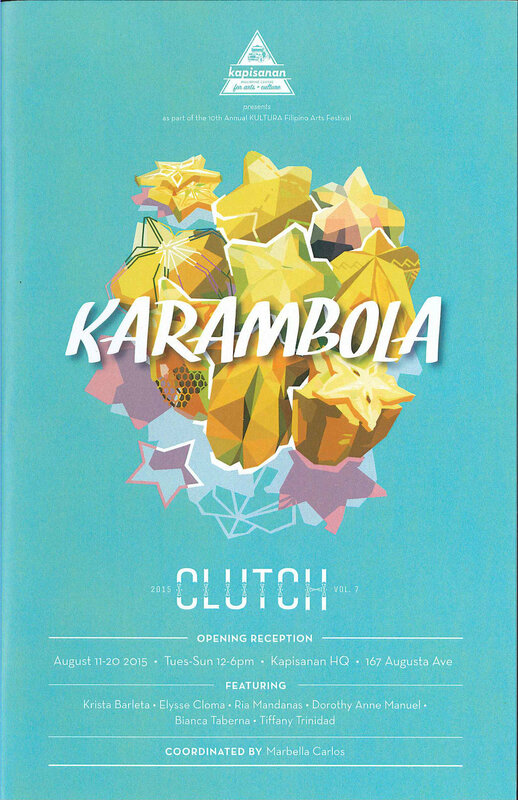 Karambola, although primarily a Visayan word, is used in a number of different Filipino languages. It means scrambled, messy, chaotic, conflicted, and in disarray. The exhibition focused on the challenges faced by the Filipino-Canadian diaspora today, showcased through different artistic disciplines. It also screened in "Balikbayans," a curated program featuring films by other Filipino filmmakers: Mikey Bustos, Krista Barleta, and Alex Humilde. Very special thanks to, in order of appearance, Jenn Nucum, Samantha Elma, Miriam Trinidad, Christian Enriquez, Romeo Enriquez, Rebecca Ramcharan, Athena Lobo, Danelle Jane Tran, Hazel Enriquez, and Luis Trinidad.